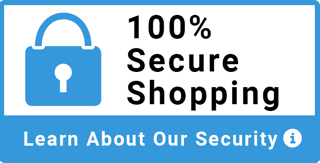 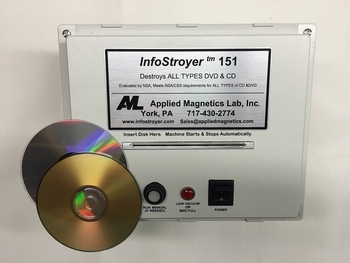 Meets the requirements of NSA/CSS 04-02-A for Optical Media Destruction Devices for DVD's, Blu-Ray, CD discs. 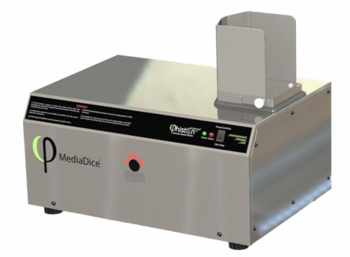 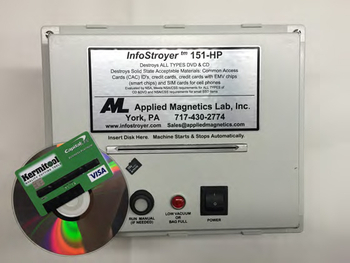 A Patented High Security Optical Media Destroyer that Disintegrates CDs, DVDs, Blu-Ray Discs, and Magnetic Strip Cards. 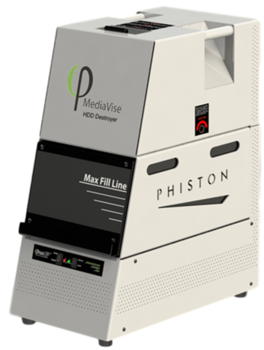 The Phiston MediaVise Compact SSD Destroyer (MVC-SSD) is a patented high security solid-state drive and digital media destroyer. 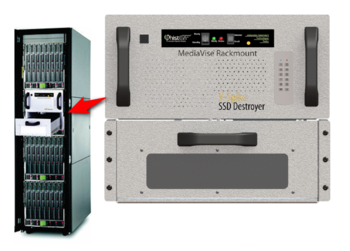 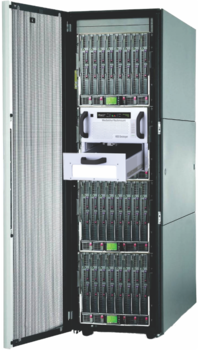 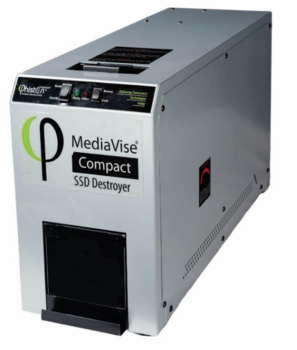 The Phiston MediaVise SSD Destroyer (MV-SSD) is a commercial-capacity computer solid-state drive destroyer. 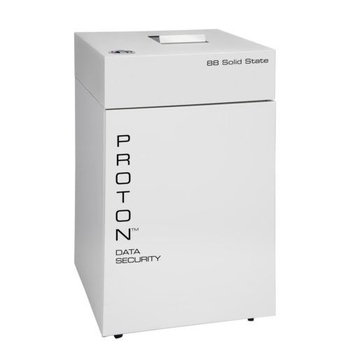 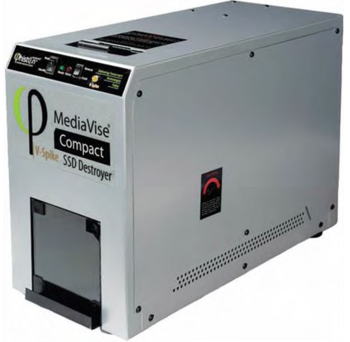 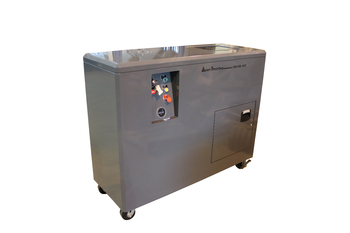 The PDS-88 by Proton is the newest, most affordable, and flexible solid state shredder and disinegrator.